Care to live like “The King of Cool”? 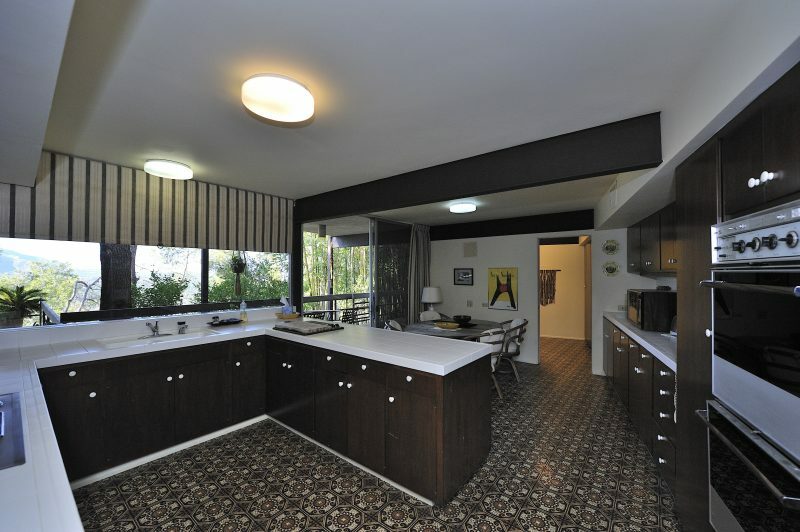 Steve McQueen’s former home is up for $4.6 million. 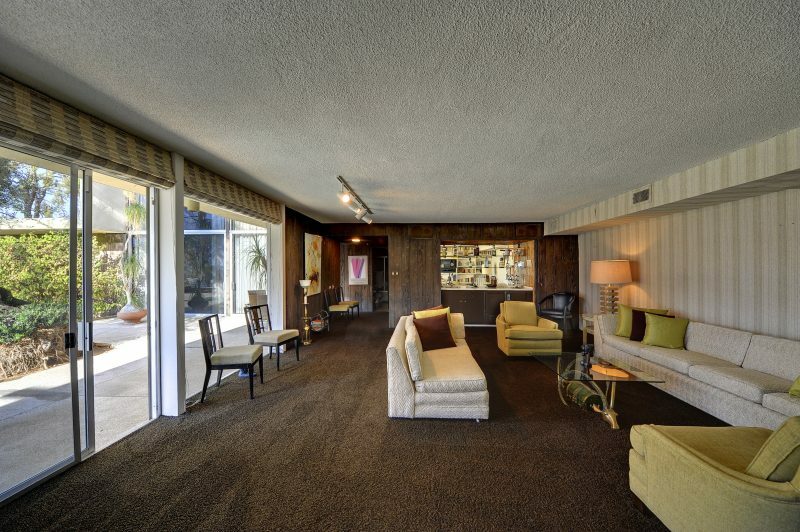 The late American actor and actress Ali MacGraw have spent much of his time on the mid-century modern home located just a mile and a half from downtown Palm Springs. 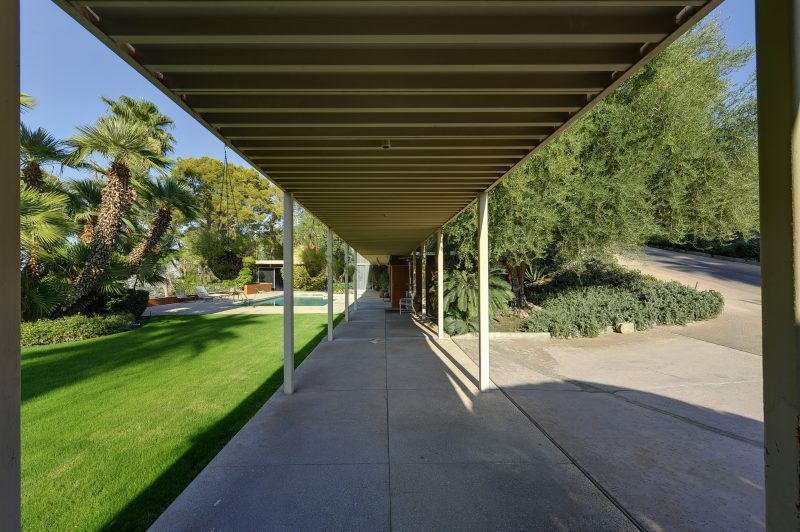 Tucked away in the gated community of Southridge, it has been almost unused since McQueen’s ownership. 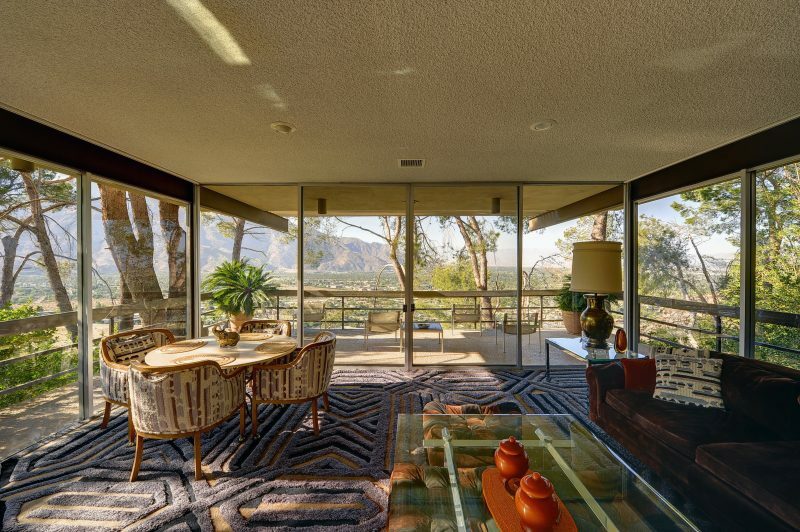 Built in 1964 by Californian architect Hugh Kaptur, the renowned residence is made up of two intersecting glass boxes framed in steel. 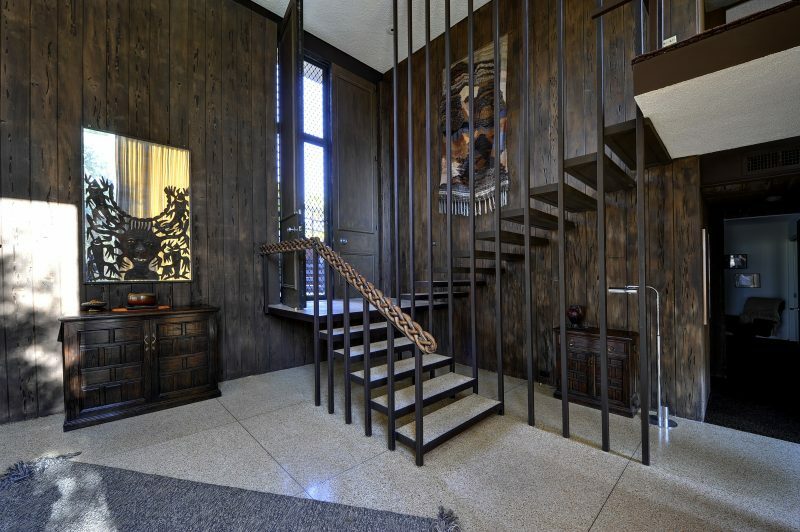 Spreading 4,493 square feet, the home welcomes with two-story-high doors that open to a soaring foyer with a floating staircase, terrazzo flooring, and pecky cypress paneling. 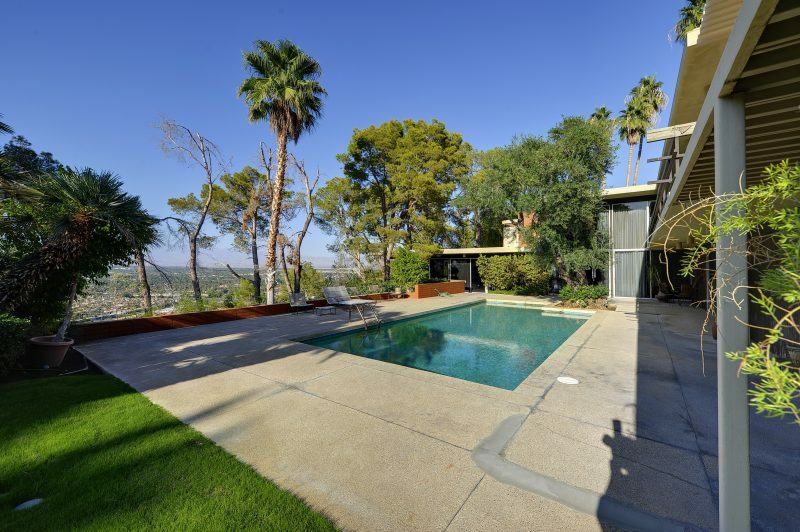 Home to four bedrooms and four bathrooms, the residence elegantly sits at the foot of the San Jacinto Mountains. The well-designed home also features a large family room, an eat-in kitchen, and a living room framed by glass walls that render panoramic views of the San Jacinto Mountains to the west and the city below. While the glass doors of the sunlit living room open onto a terrace, the grounds of the paradise feature a swimming pool and surrounding patio.